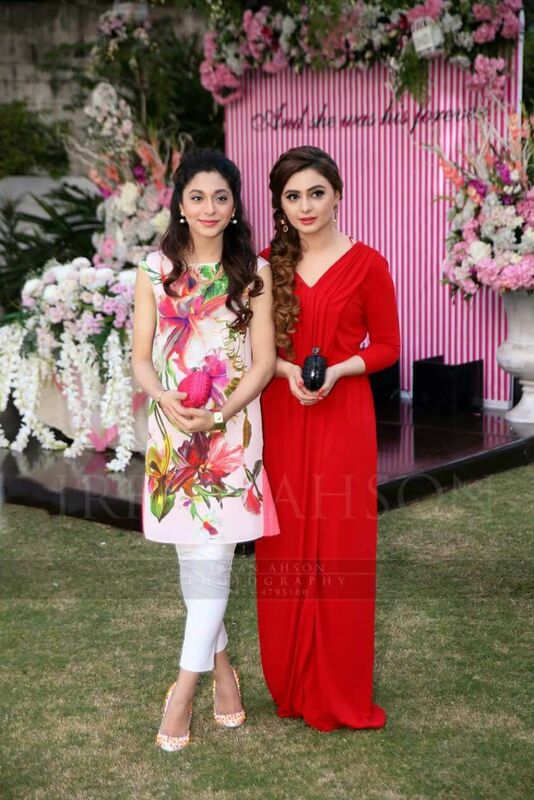 Pakistani Bridal Shower Outfits. 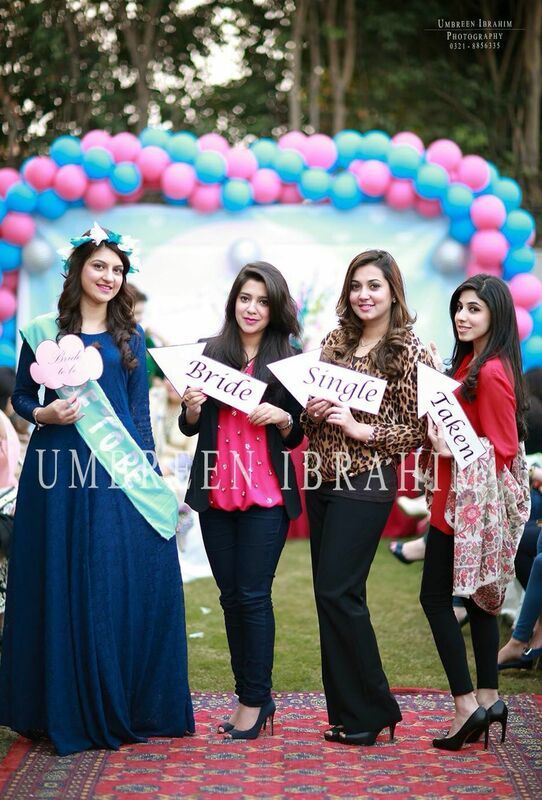 Bridal shower is a relatively new trend in Pakistan. It is not totally new but has grown on the masses only in the last few years. So it is something hot and hip that all the brides to be are super excited about it. 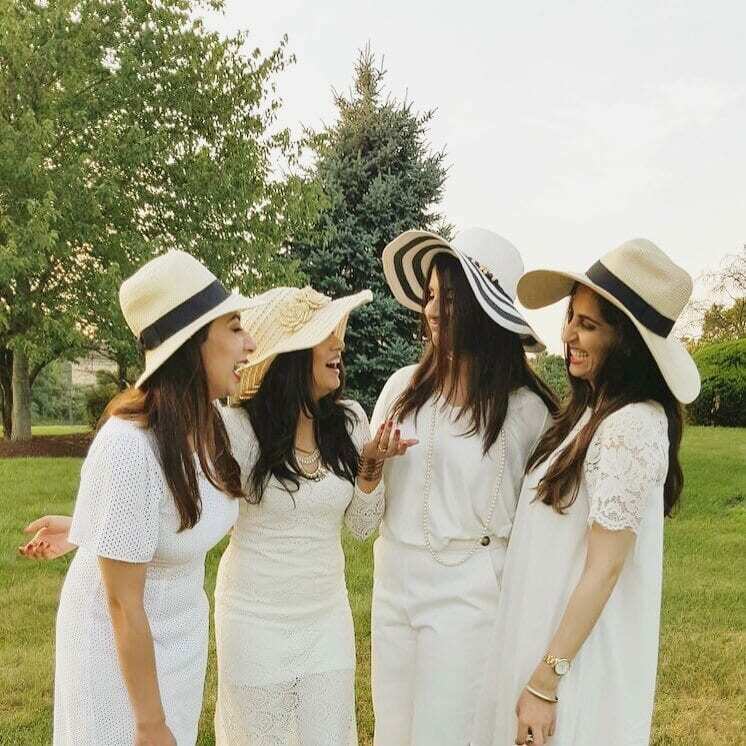 The bride’s best friends take lots of pains to plan the whole bridal shower saga keeping a balance between the western roots of the occasion as well as incorporating the local traditional into it. A bridal shower is very important for the bride because it is one day when she can let her hair down and enjoy to the fullest. Amidst all the wedding chaos going on in her life, this one day planned out by her friends is a respite for her. Choosing the right bridal shower outfit is very important because if all goes well with the shower, bride will be confident and assured about the upcoming big wedding day. 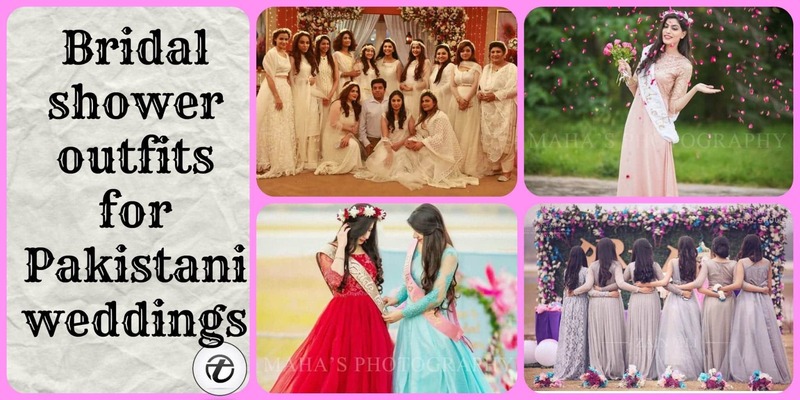 So here are some cool tips for the bridesmaids about bridal shower dresses for Pakistani brides. Choose the color of the dress that will not be worn on any wedding day so that there is some variety and the bride will not look similar on the wedding day too. To be on the safe side choose the colors that a Pakistani bride is least likely to wear like white, black, grey or brown. Keep the comfort of the bride as the foremost priority in this function because the upcoming days are sure to bring a lot of stress and nervousness for the bride, so plan a dress that is beautiful as well as comfortable and according to the weather conditions. Remember the dress should not be too heavy that it surpasses the main wedding dresses. Al, o it should not be so casual that there is no difference in normal outfits or bridal shower outfits. In the wedding dresses there is usually the compulsion to follow certain traditional styles, themes and looks but here keep the wishes of the bride in the forefront. When you are planning a bridal shower for your friend, keep in mind that it is about the bride and not about you. ↓30 – What To Wear For Bridal Shower Brunch? Bridal shower brunches are very popular. 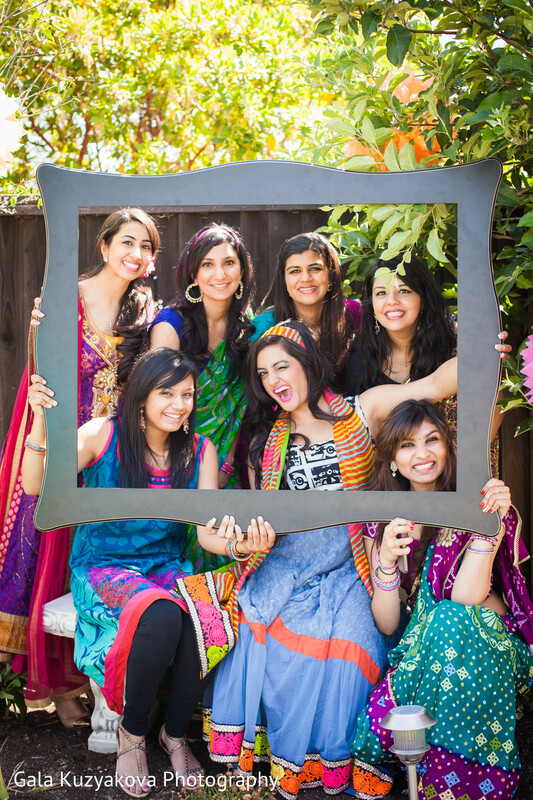 The wedding functions are usually in the night so keeping the bridal shower in the day is usually a good idea. But it means you wear light colors. If the weather permits, a brunch in sunny outdoors can be a memorable event. You can also choose from a number of outside accessories like hats, sunglasses and scarves. Here are 15 Ways to Dress up for Sunday Brunch. Bridal shower decor, whether in Spring or not, heavily utilizes the flower arrangements. If you are really lucky to have your bridal shower in Spring, then you can have lots and lots of flowers to make a beautiful setting for the occasion. As it is mainly a western tradition, the outfits of bridal shower are influenced by a western touch but it is best to wear a mix of both these two cultures and create a really cool combination of both. Also have a look at these 20 Classy Outfits for Pakistani Girls with Short Height. A tiara like head accessory is usually must for brides on the bridal showers. It signifies that today is about the lady wearing the tiara and it is no small occasion for her but something that will change her life forever. A wreath of flower is a good replacement of tiara. 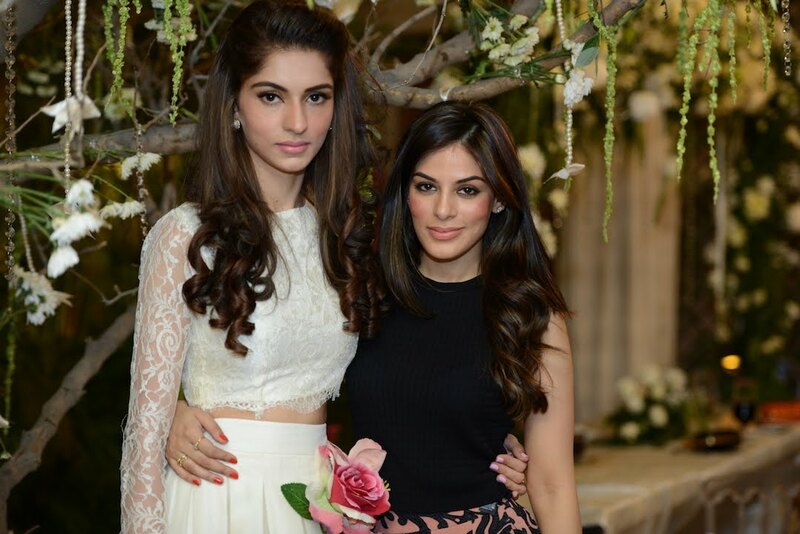 Usually in Pakistani bridal shower you will surely see lots of girls as well as the bride wearing jewelry made out of flowers. Brides are given the gift of fresh new flowers to make the event auspicious. Although the age old trend is changing and brides are opting for black to be worn on their wedding day, but if you love black color but cannot wear it on your big day because of all the “Bad omen” talk then the bridal shower is the best day to wear the black color. Long net skirts are all the rage these days. These may be lehnga style or skirt style but in both ways, embroidered net looks cool and beautiful and would be perfect for a bridal shower party. Here are 20 Elegant Outfits for Pakistani Women Over 30. Whenever some celebrity is getting married, their bridal shower is celebrated in one of the many Pakistani morning shows. You can get latest fashion ideas from these morning show bridal showers. White theme is very popular for bridal showers. If you are following a white theme dresses in white lace and chicken look really elegant and beautiful. You can combine motia flower head wreaths and gujras to go with and complete the celebrity style look. Luncheon means it is a daytime event so go for a theme with light colors. Wear light make and white colored jewelry. Also for brunch and luncheons there are lots of beautiful decor options if you are planning it outdoor. So choose a time when the weather is good and go for outdoor event. According to our Pakistani tradition, bride wears heavy makeup on her wedding day. So for bridal shower we would advise to go for a light make up look. No need to go to parlor for makeup. Just wear what you normally wear for parties. If you have sensitive skin, be careful. Heavy makeup on bridal shower may trigger any allergies and cause you to have pimples before the wedding day. Here are 20 Pakistani Wedding Hairstyles for a Perfect Looking Bride. If you do not want to follow a color theme, varied colorful dresses also look nice. Then the decor should be in light colors so it goes with the dresses of all the guests. There are too many bridal showers with white or off white theme. If you want to be a little different then Lilac, purple, fuchsia and violet are cool colors to choose from. You can find flowers to match these shades too, easily. Here are 10 Most Stylish Pakistani Bridal Dresses for This Season. If you want something different, and you are not into long flowing type of girly dresses then, you can try out any cool and stylish looking pants with short top. Crop Tops with lace and sequin make a good combination. Or if you are wearing funky pants, then a plain top will look good with it too.